Reusable, stainless steel straws are a great way to save on buying disposal straws, help protect our planet and marine life from the plastic that disposal straws create – plus they look amazing when custom engraved with your text or logo! See below for stats on plastic straws and our planet but first, let’s talk about the benefits of reusable straws over plastic straws and why we should consider them. Straws just make up a tiny bit of the plastic in our oceans, but those tiny bits add up. With 5,000,000 straws used every day in the USA, and since they are too small to recycle, they end up in the trash and then that trash can end up in the oceans. The plastic straws break down into smaller pieces, causing sickness and death to marine life, and can be consumed by humans as we eat fish that have eaten the plastic. Plus, straws can get stuck in sea turtles faces – that is reason enough to at least try a metal straw! (see video of turtle with a straw up its nostril here). You’ll save money in the long run if you use a lot of straws. A plastic straw, purchased in bulk, might cost around $0.016 each, so it will take 3 months to a year to make up the $6 to $25 cost of your fancy metal straw for a family of 5. Stainless steel straws are easy to clean, and it is fun when everyone has a straw with their name on it! You’ll never forget whose drink is whose. Plus, a reusable metal straw can be custom engraved – personalize a reusable straw for yourself or as a gift today! Are stainless steel straws safe to use? Yes, stainless steel straws are safe to use. They are usually made from high quality, food grade 18/8 stainless steel. This means they are BPA free, won’t leach into your drink, don’t change the taste of your drink. Safer than plastic straws for you, and safer for the sea turtles. 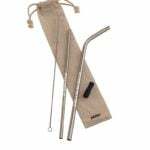 Stainless steel straws can be used for Yeti, Starbucks and other tumblers mugs and cups. Are bent or straight stainless steel straws more popular? Bent and Straight stainless straws, which will you prefer? It is a matter of preference, and what you tend to drink. 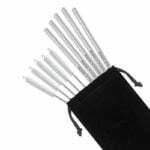 We see bent straws being a little bit more popular from our line of personalized metal straws, however straight are a little easier to travel with. 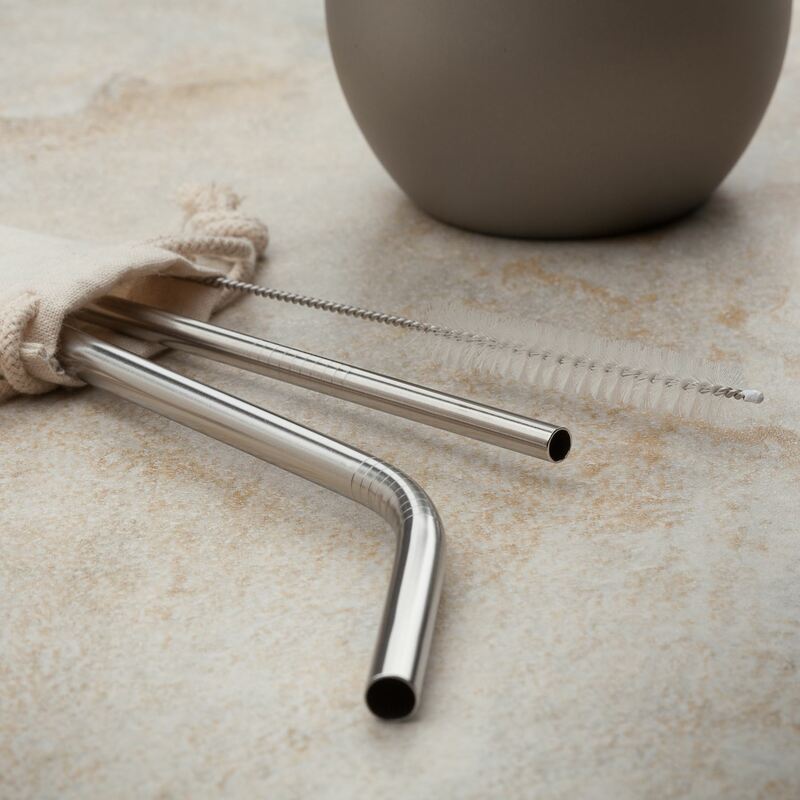 Bent reusable straws might be preferred in an insulated tumbler, while straight is easier to drop in a glass of water or fizzy drink. 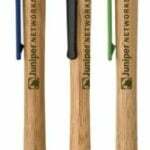 Silicone tips are most commonly found on straight straws so if you prefer the softer silicone on your lips, you will find more options looking at straight straws. 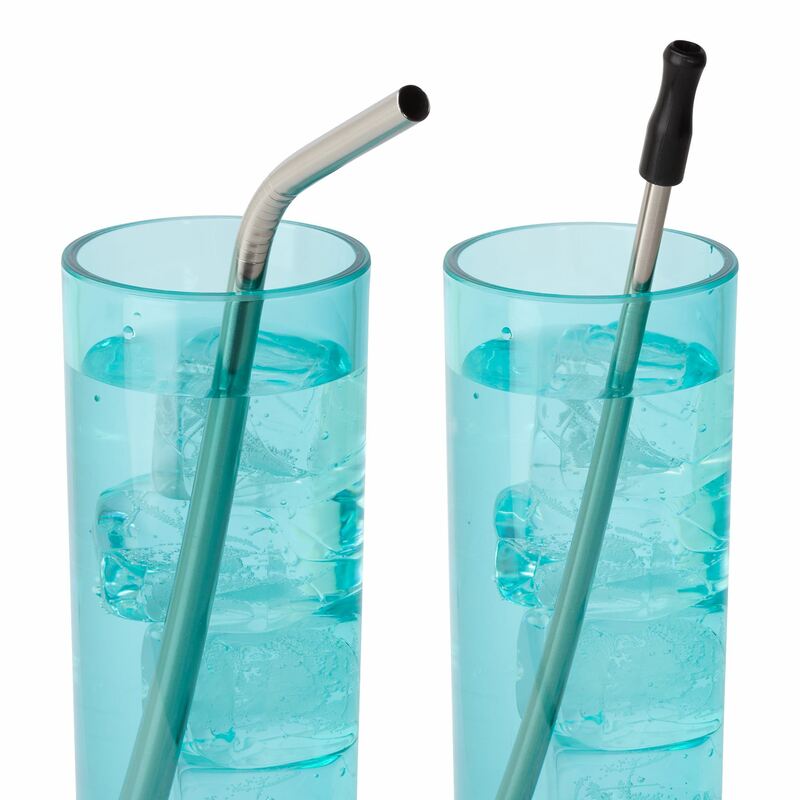 The bent straws make it a little easier to drink on the go or while working or doing another activity since they bring the drink slightly in front of you, and you don’t have to tilt your head all the way down to drink. You can keep looking up. That is, if your eye-hand coordination is up to par. Not sure if you will prefer a bent or straight? Personalize a reusable straw set – a straw set will often contain both styles, plus a cleaning brush, so you can figure out which one is best for you. Are stainless steel or glass straws better? Are stainless steel or glass straws better? is a great question! It seems like the glass would break too easy right? They do hold up fairly well, and while they could break easier, they hold up fairly well. If you have younger kids, stainless might be a better option since they are indestructible. Stainless also is better for traveling. They are usually dish washer safe as well. The downsides to stainless steel straws is they tend to heat up in hot drinks or get super cold in cold drinks. You also cannot see inside stainless straws to determine if it is clean without holding it up and trying to look down it. Where to buy stainless steel straws and How much do stainless steel straws cost? 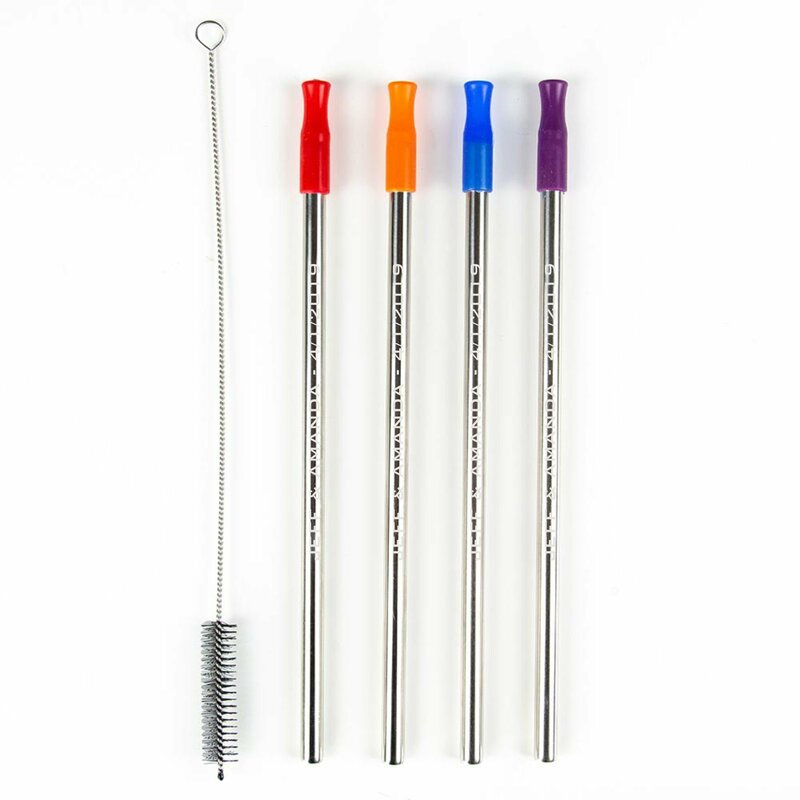 Next Next post: What are the best reusable stainless steel straws?